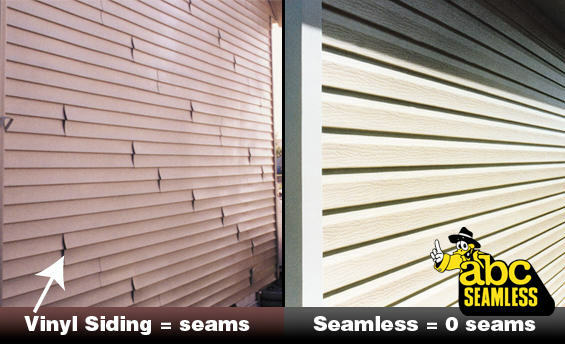 No Ugly Seams In Our Siding! ABC Seamless has eliminated all of the unsightly seams. While others offer UGLY seams that collect dust, dirt and moisture – leaving your home looking dirty and shabby. Where the other guys can only try to hide the seams – ABC Seamless doesn’t even have any! Contact us today for a no obligation quote and learn what so many homeowners have – there really is only one choice for siding strength and beauty!